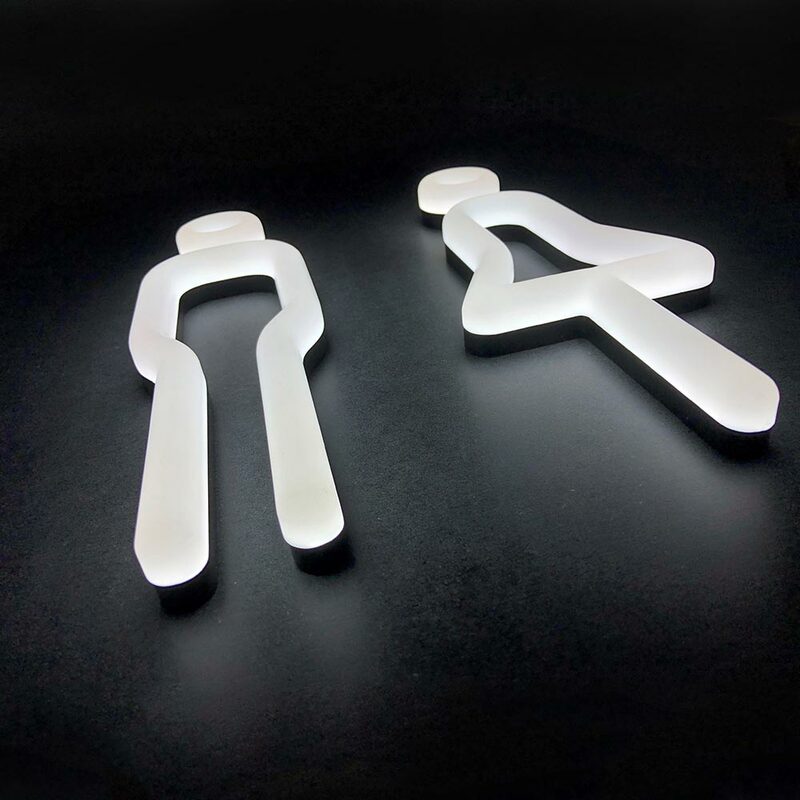 The futures bright - the futures neon. 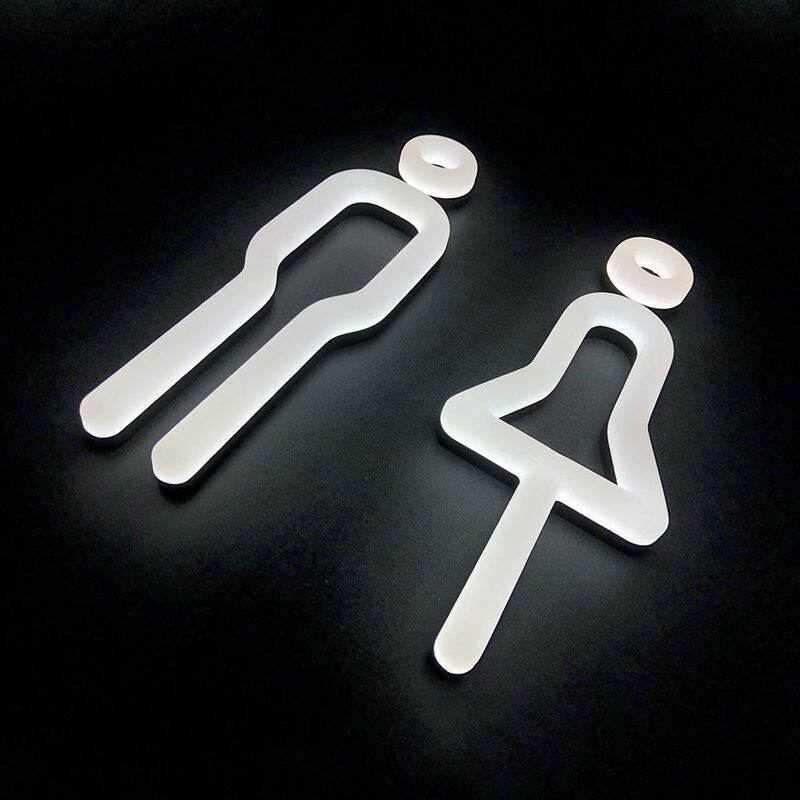 Our new LED soft illuminated acrylic, male and female pictograms using the on-trend, no-frills FF Netto typeface by Daniel Utz. 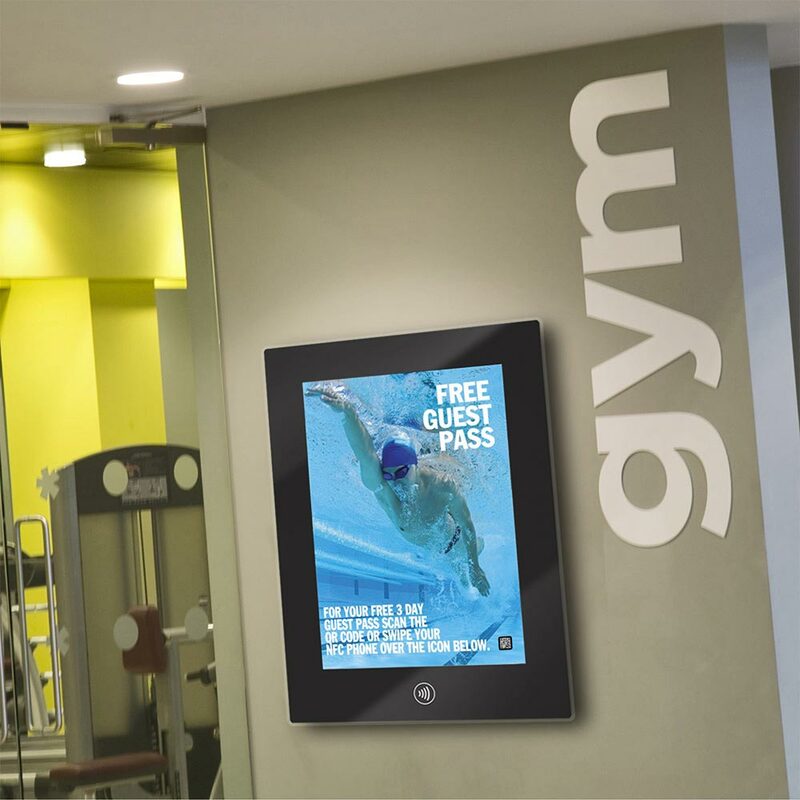 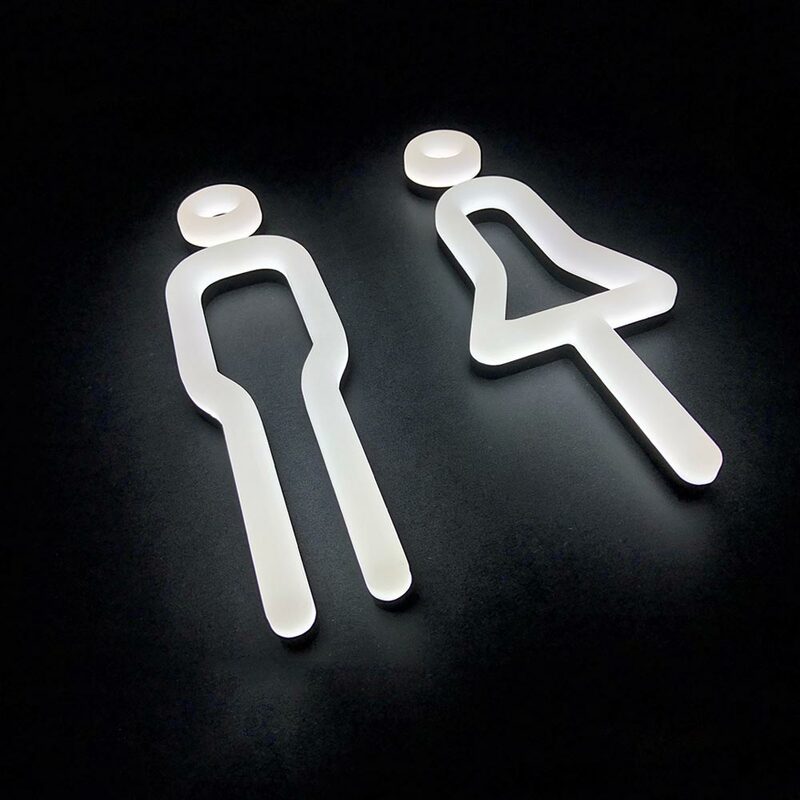 Manufactured from 26mm deep Perspex Spectrum LED acrylic, embedded with premium white LED's for a dramatic even, bright white illumination. 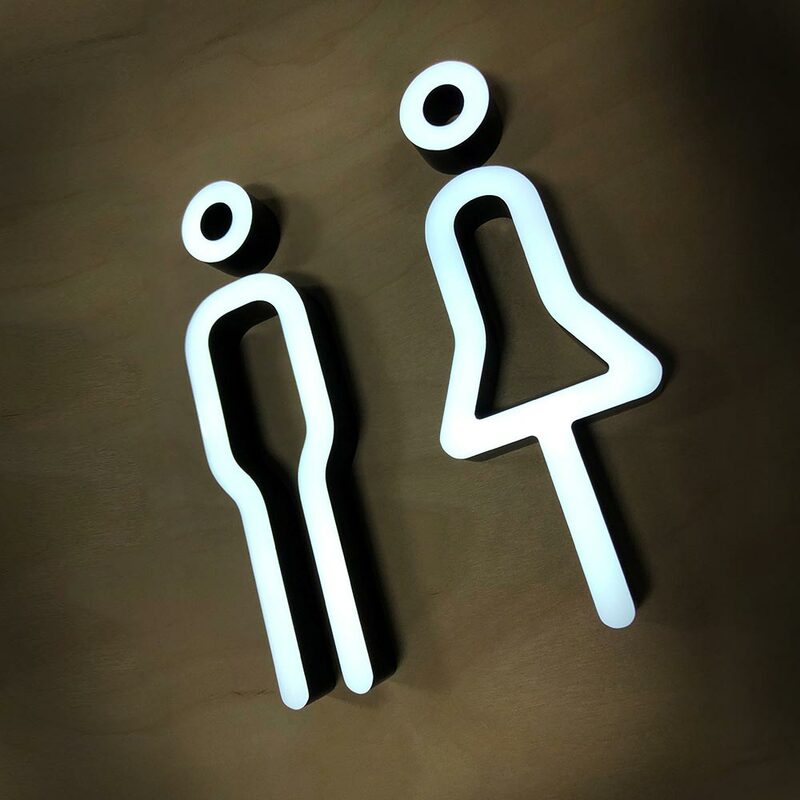 Pictograms are available to order at 300mm in either male, female or twin format. 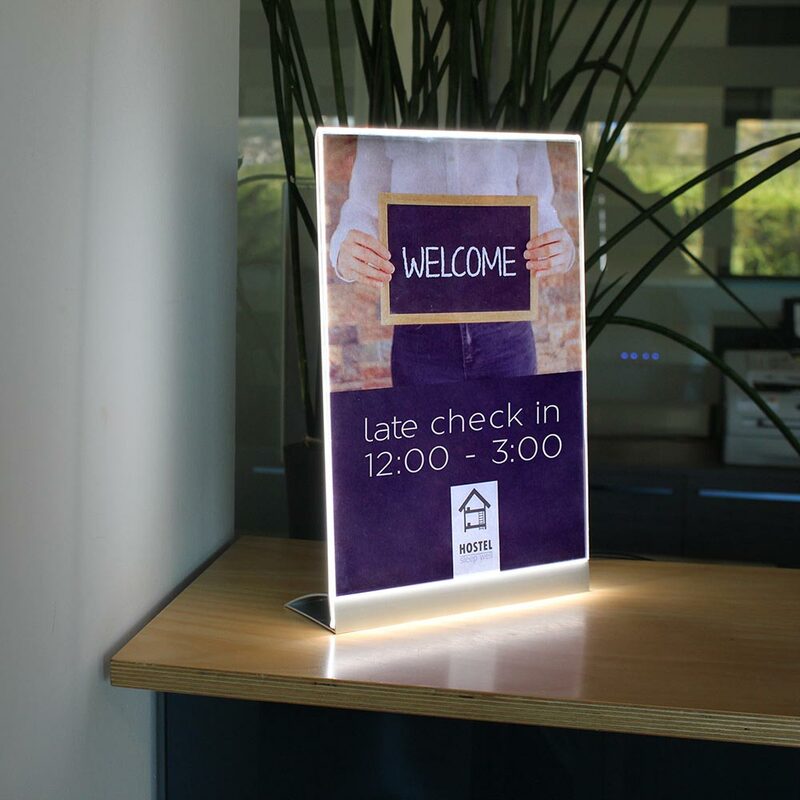 With a warranted life of 50,000hrs, LED neon is the perfect replacement for traditional high-voltage neon. 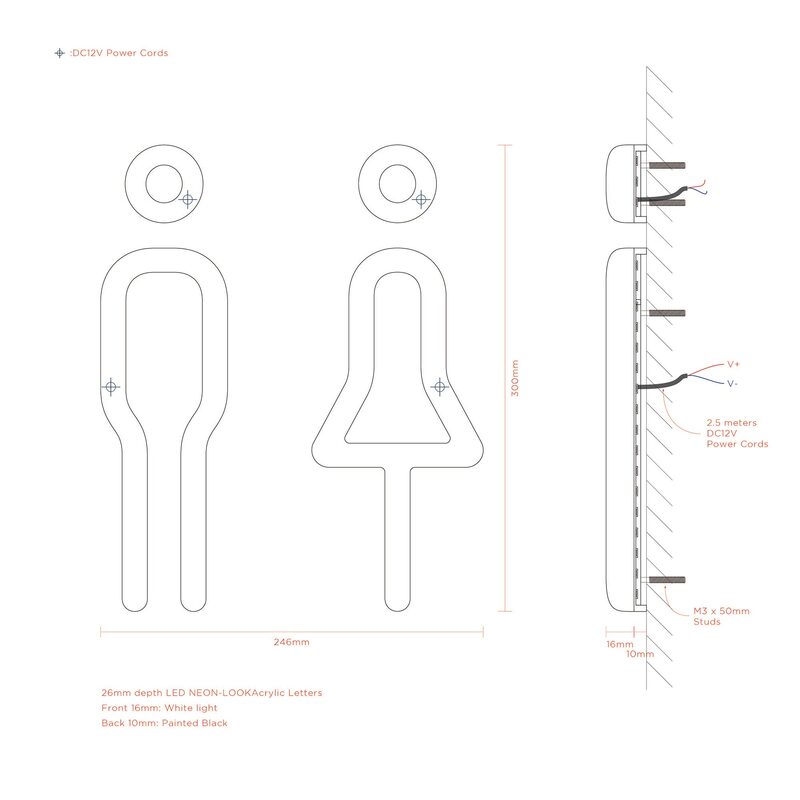 Our product is CE certified and IP67 rated for weatherproofing. 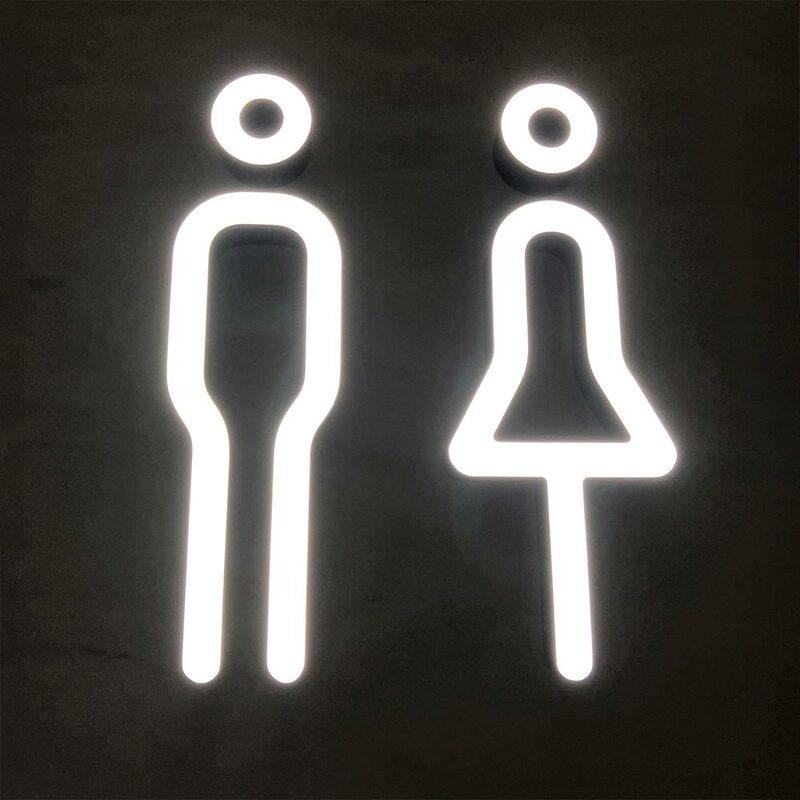 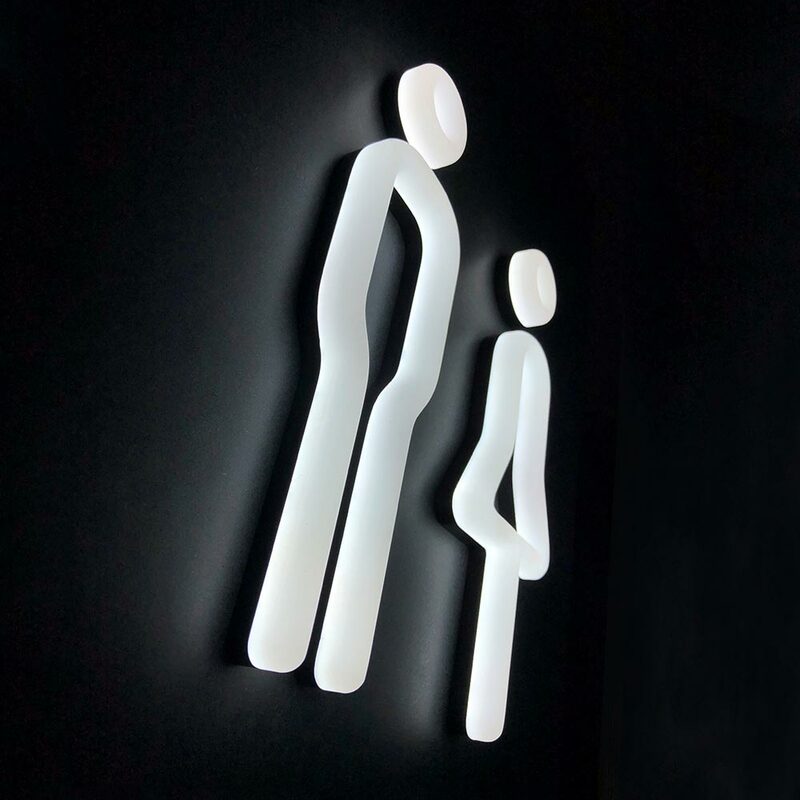 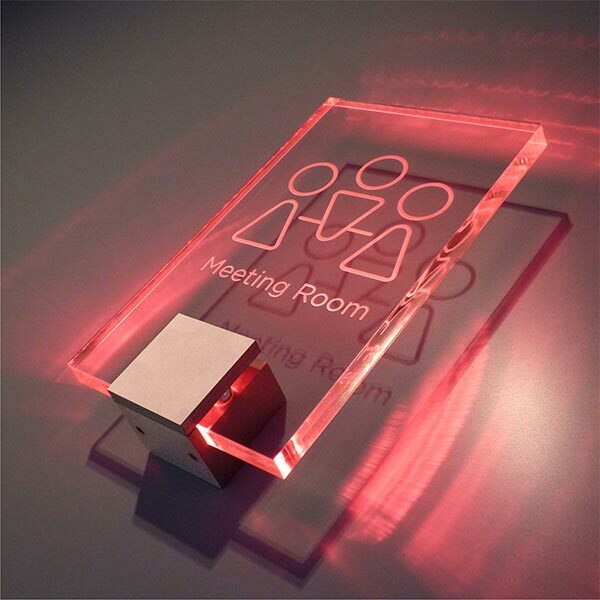 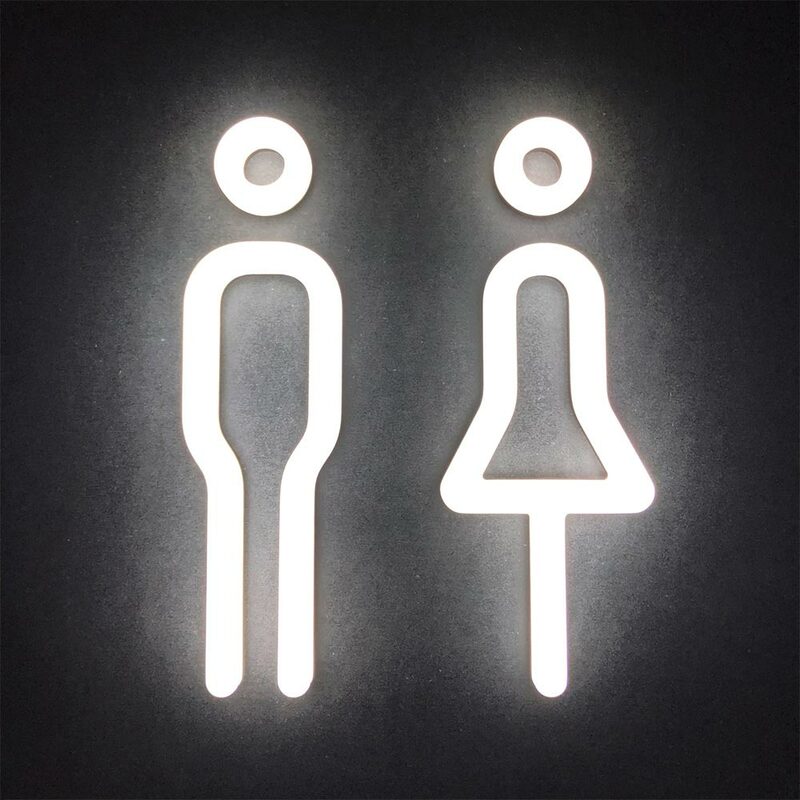 If you are looking for some different and remarkable toilet/restroom signs, the LED neon effect acrylic large pictograms manufactured by Signbox are the answer.